Agua Frescas are simple fruit drinks made with fruit blended with water, lime juice and sugar. They are simple, refreshing drinks perfect for summer entertaining! 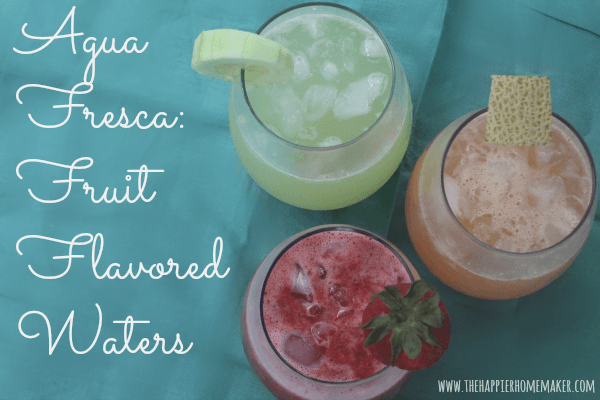 If you can reach back into the archives of high school Spanish you’ll know that Agua Fresca translates to “fresh water” but this amazing drink is so much more than that! Agua Fresca can be made with just about any fruit you can think of, combined with water, ice, and sugar. 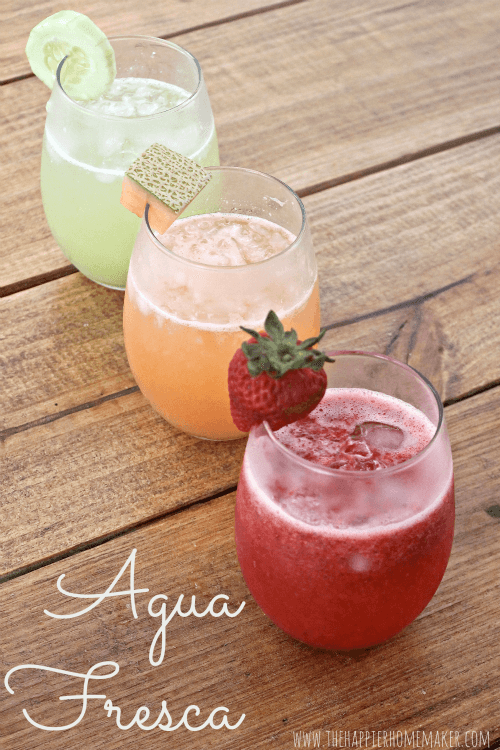 Just in time for Cinco de Mayo, here are three of my favorite Agua Fresca recipes! I hope you give these recipes a try this weekend-or anytime this summer! They are so refreshing, my favorite is actually the cucumber, it reminds me of something they would serve at a spa!